In 2018, a bullet journal is a must-have. These little notebooks can keep you organized and let you express your creativity. We love bullet journals because each one is unique. 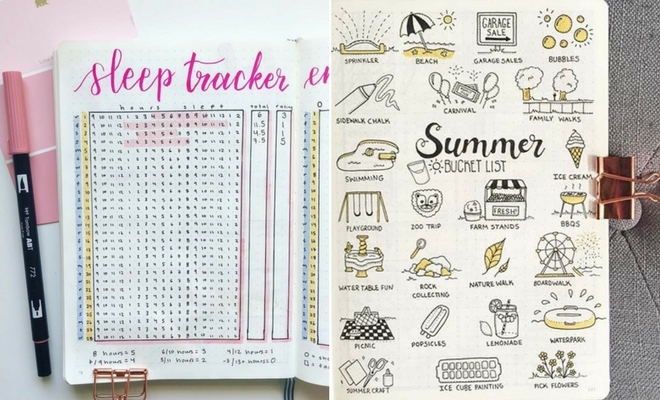 If you want to start a bullet journal or want to add to one you already have, then you need to check out bullet journal spread ideas. We have something for everyone including sleep trackers, pages for savings, bucket lists and more. The first idea we want to share with you is this books to read page. 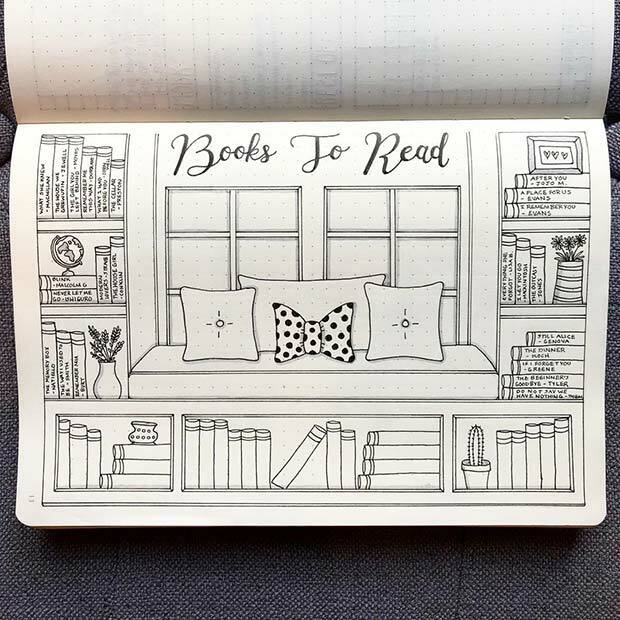 The page has been decorated to look like a bookshelf and features books the person wants to read. You don’t have to be this artistic you could just create a simple list. It is a great way to remember books that you want to read. Next, we have a weekly planner idea. The pages have been decorated with the days of the week and a to-do list. Pages like this are great to keep organized and to keep track of what you have to do. With a schedule like this, you can plan your time and fit all your tasks into your busy life. Anxiety effects many lives. 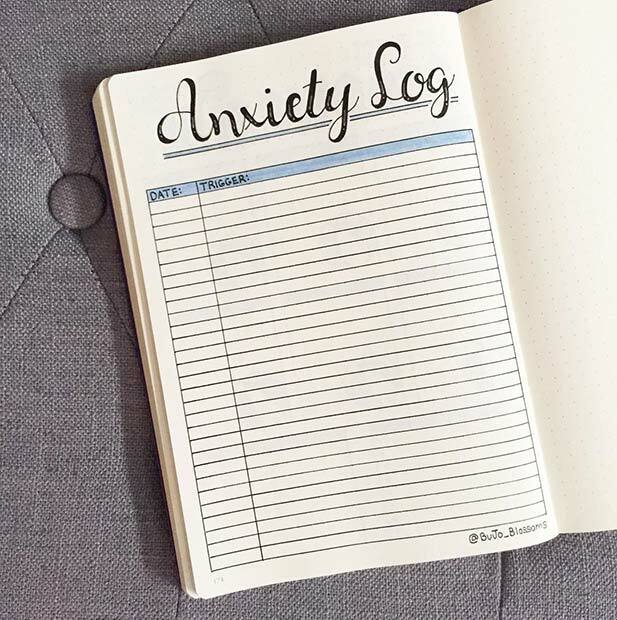 For some people it can help to write down what triggers anxiety and when it was. By recording these things, you can find ways to help you and you can learn about your thoughts. You can create a simple page like this to make writing your triggers easy to do. Our next idea is a savings page. This savings page has blocks with different amounts of money and the blocks are colored when the amount has been reached. 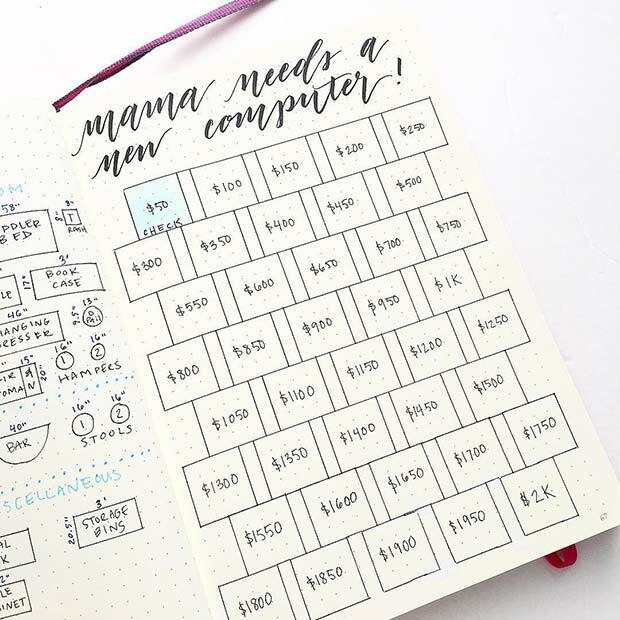 You can easily keep track of your savings with a page like this. The title is also awesome as it keeps you motivated by reminding you of what you are saving for. 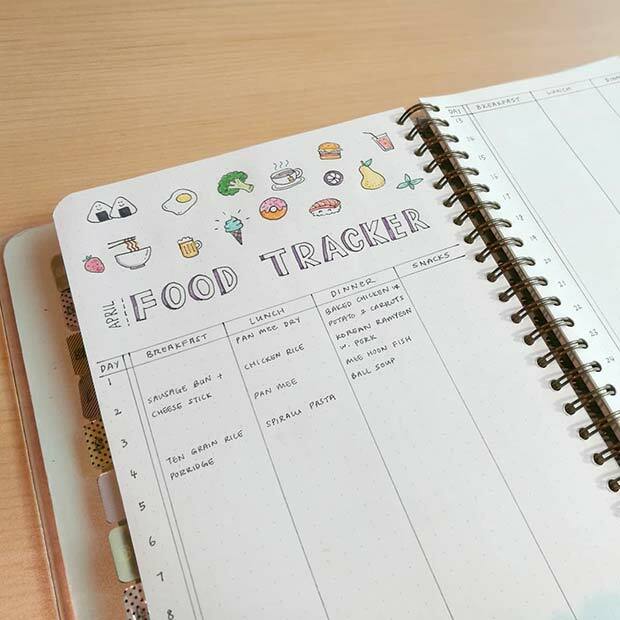 Food trackers are very useful to have in a bullet journal. With a food tracker you can create a menu for the week to make sure you are eating a good and balanced diet. Not only can you see your food for the week, but you can also keep track of groceries. By planning your meals, you can plan your food shop. Bullet journals are also a great way to keep memories. You can write about what holidays you have taken part in or been on and write about what you did. 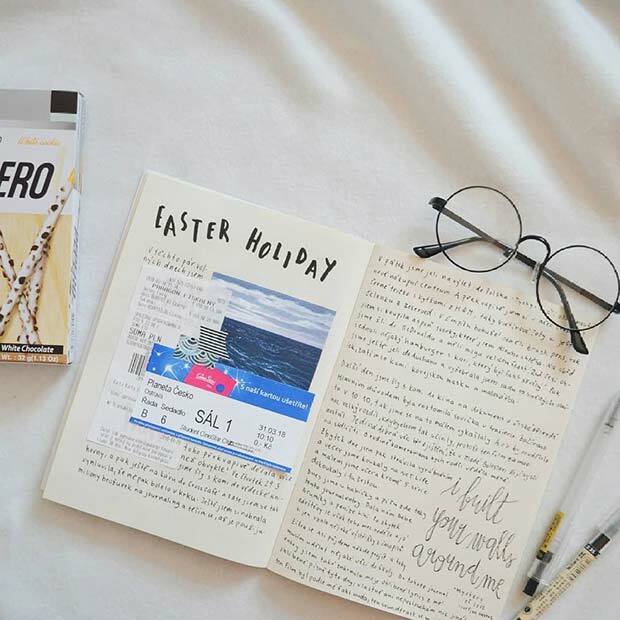 In your bullet journal, you could just write about it or have images and tickets like the journal featured. We are supposed to drink eight glasses of water a day. This can be difficult for many of us to remember, but not anymore. 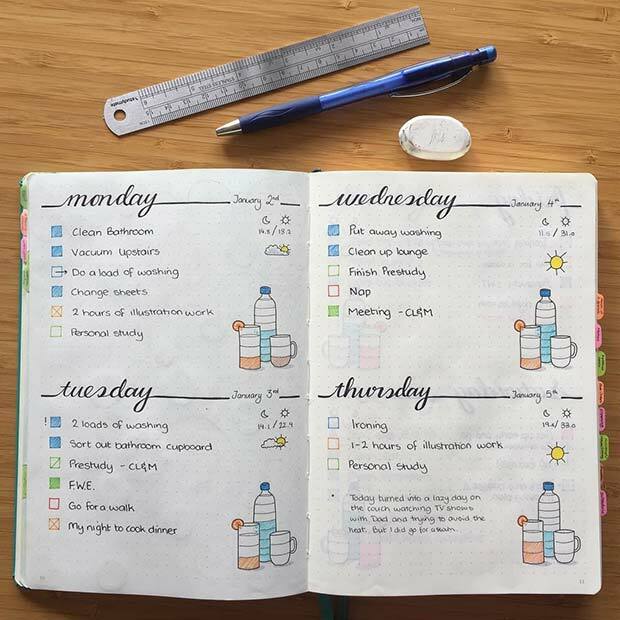 You can have your very own water tracker in your bullet journal. 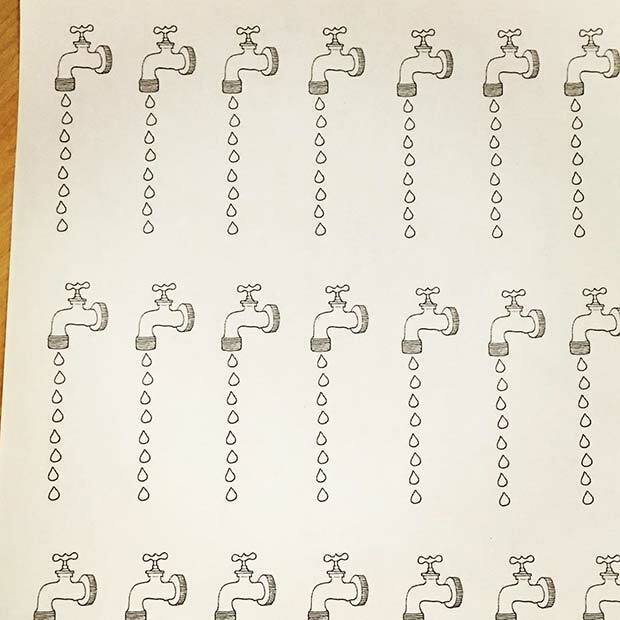 Maybe have a list or a cute tap and drip design like this. Color in the water drips for every glass you have. It is important to think about what makes you happy. This can be very useful when having a bad day. 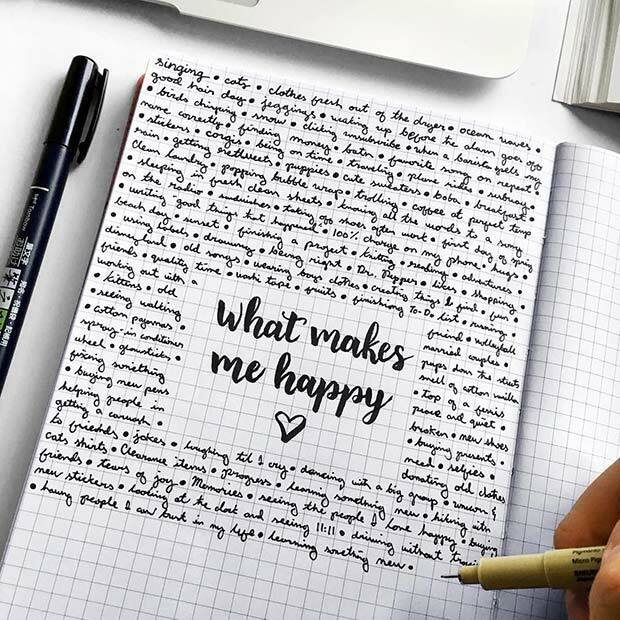 You can have a page dedicated to happiness in your bullet journal. Here we have a page with the title ‘what makes me happy’. Then all the things are wrote around the edges. This is a beautiful page that will be a great reminder too. Like working out? Then this bullet journal page is for you. 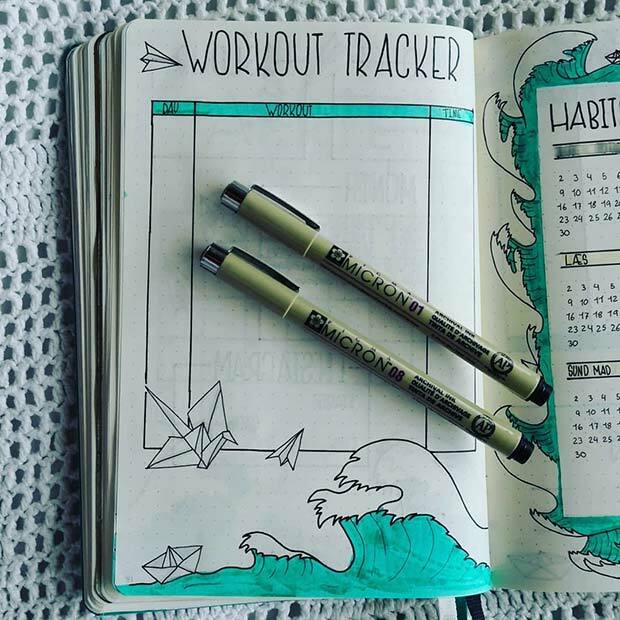 The page features a workout tracker. You can write down what workout you did, on what day and how long for. This allows you to keep track of your exercise and you can see what you could be doing more or less of. Many people choose to create their bullet journal in months. So, there will be a new schedule, trackers and more for each different month. If you choose to do this, you can have month title pages like this. This is a simple but amazing design which will easily separate your journal. 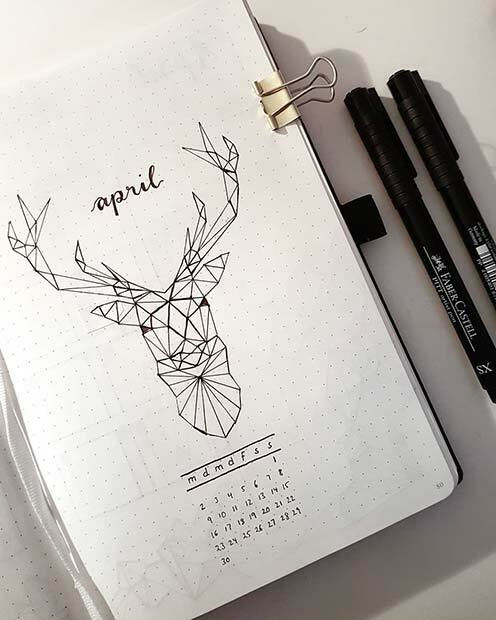 You can create monthly pages with any design.